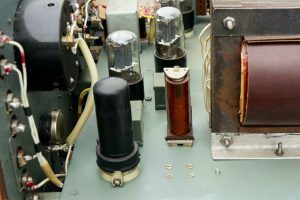 We provide the best Top Tube Amplifiers Review and Advice. The first time you plug in a new distortion pedal into your setup and start playing is a great experience. Despite how hard you’re now rocking, don’t get too comfortable – there’s so much more you can accomplish! 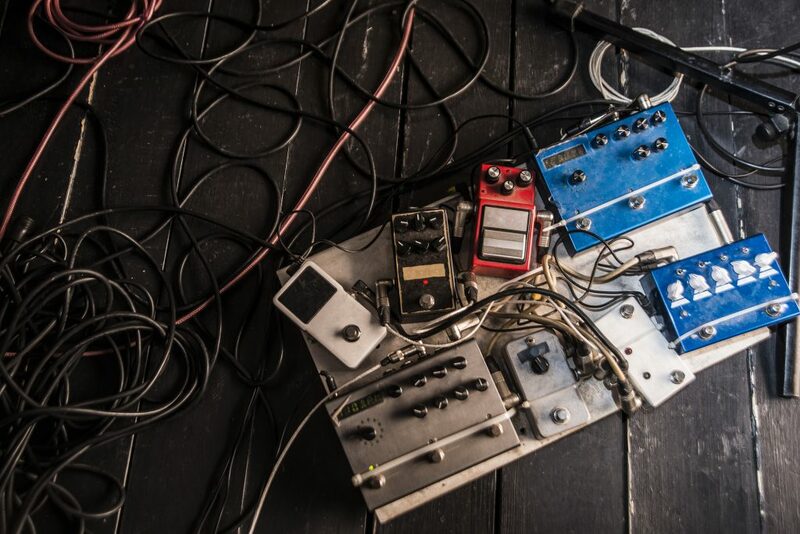 You need to know how to get the most out of your distortion pedal. 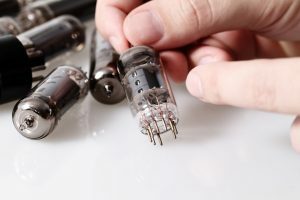 Getting great tone from your equipment is a matter of knowing the ins and outs of your signal chain, proper long-term care and maintenance of the equipment, and of course lots of testing and practice. In the spirit of that, here are our top 13 tips on how to get the use your distortion pedal. Yes, I know – nobody wants to read the manual – especially not when you can be rocking out! The real value in the manual comes from knowing the scope of functionality of the pedal. How can you get the best tone when you don’t even know all of the features? Take a quick stroll through the manual just to understand the basic settings and what kinds of things are within your control while you’re using it. There may just be hidden features and other exciting controls that you aren’t yet aware of or that may come in handy later while you’re dialing in your tone! 2. Start taking good care of the equipment now. Unnecessary roughness on your gear will do nothing except decrease the age of your pedal. It’s important to set good habits now so that you’re not having to replace your pedals all the time in the future. Never plug and unplug your cables when the power supply is active. Always turn the pedal to its clean channel and turn off the amplifier before removing your cables. 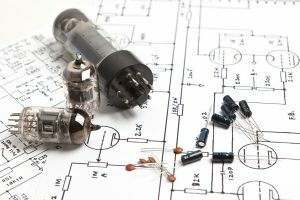 Your amp’s circuits will thank you! 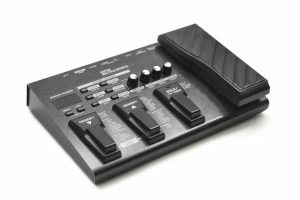 The pedal is already going to get stomped on all the time – make sure you’re not adding to it’s stress for no reason! Start setting good habits now. 3. Familiarize yourself with the pedal’s default settings first. When you’re first dialing in the tone on a new distortion pedal, set the pedal to its defaults – either zero or noon depending on the setting. This is kind of the “factory reset” and you can now start dialing in tones and effects to what you’re looking for. 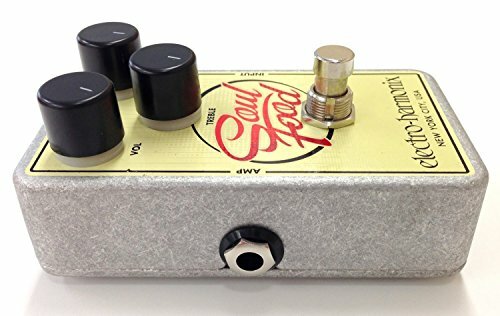 The Electro-Harmonix Soul Food is one of my favorites, but don’t just listen to me – it’s got 4.5 out of 5 stars! 4. Watch lots of videos about the pedal. Search for your pedal and see what kinds of great tones others are able to achieve with your gear, and see how they did it. 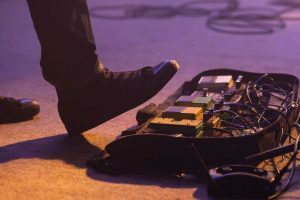 There’s also plenty of good advice on dialing in tones, how to setup distortion pedals, how to connect a pedal to an amp, and more. 5. Always have backup power supply. Be ready with your power setup. 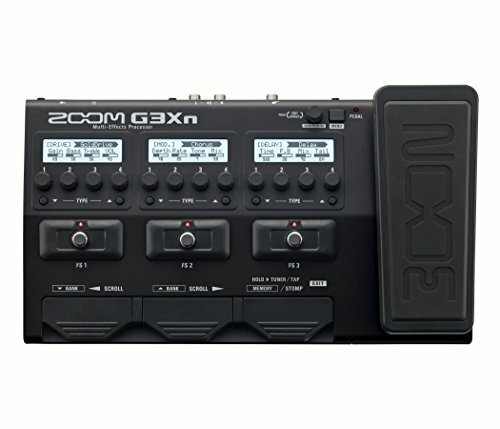 If you have distortion pedals that use batteries, then you should have lots of spare batteries for backup. You can also use pedals that are powered by an AC adapter, but you should make sure that you don’t end up with a mess of cables as a result of using multiple pedals. There are few things worse than showing up to practice or a gig and running out of power for your gear – stay prepared! 6. Set your guitar to its maximum volume. Check that your guitar volume is at the maximum. Then see to it that the volume level of your pedal actually allows you to hear the different effects. Wampler Tumnus Deluxe Overdrive & Boost Guitar Effects Pedal – your pedal board will never sound the same! Don’t get too used to just one sound. Now it’s time to experiment with the various knobs on the pedal. Any combination of guitars and pedals will introduce a whole new range of possible tones. 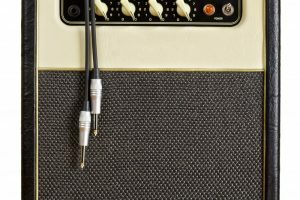 There’s a reason they call it “dialing in tone” – every setting available is another opportunity to achieve some great sounds. When you play, a good rule of thumb is to use your pedal gain to balance the intensity of the song you’re playing. Basically, if a section of the music is heavy with lots of complicated drum solos and intricate piano playing, you may want to keep the guitar tone from becoming extremely distorted at the same time. There’s no need for it, and the distortion simply becomes redundant, muddy, and dilute both instruments instead of complementing them. However, at a point where the music is very basic and simple, that’s when you should really go wild with the distortion. The more basic music offers a good background to really emphasize the special sound effects. In general, it’s best that you match the level knob of your distortion pedal with the amp master volume. This keeps everything balanced. If you have a basic three-knob interface, you can try starting with a 3-4-5 configuration for the distortion, tone, and level. Your tone gets a bit of an edge, but you can still have a clean approach to your playing. This setting keeps you from being too noisy, and you don’t overly saturate the music with distortion. 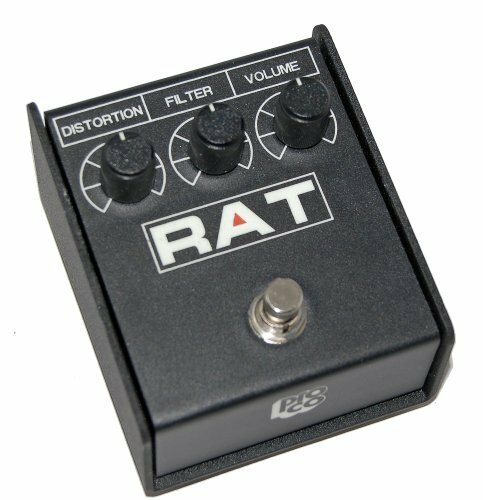 The classic Pro Co RAT2 Distortion Pedal has 4.5 stars – see what people are saying about it! 11. Don’t Fear the Distortion! It’s called a distortion pedal for a reason! Don’t worry if your sound ends up being a heavy and thicker than you may be used to. Often whether it’s recording a song or playing with a band, you’ll usually have other instruments adding to the tonal landscape, and sometimes even other guitars that may have their own tone that helps add the clarity, while the thickness adds oomph. It’s preferable that your distorted tones sound a bit heavy and thick, no matter how much gain you actually use. 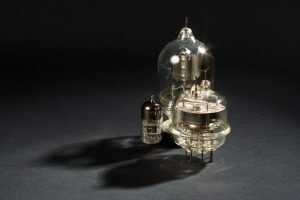 There should be more of the low end and less of the high end. Despite what I said earlier, there’s no reason not to start practicing with two pedals right away, especially if you have them ready to go and you want to! I would recommend taking the time at a later point to separate their tones and learn the range of each pedal on its own so that you’re not missing some cool tone options. It’s also okay to practice with two pedals right away. This gives you more than one distortion level to play with. In fact, you don’t even need to buy two different pedals. You can buy two of the same and then use them together with different settings. This allows you to set a heavier distortion to a section like the chorus, while you can play a more subtle distortion for your regular verses. Choruses are often emotional and anthem-like. This is true for most rock or pop songs. That’s why it’s best if you play your heavy distortion during this section, because distortion is great at increasing the emotional intensity of the music. If you use the distortion all the time, however, then it becomes regular and un-special. That’s why you have to moderate your use of distortion, so that you can maximize its impact. The Zoom ZMS70CDR MS-70CDR is my choice for adding additional effects to your tone! There are actually no set rules regarding how you really want your sound to come out with your distortion pedal. Discovering how to use your distortion pedal is part of the fun. That’s why you practice and experiment, so that your distinctive sound can evolve. 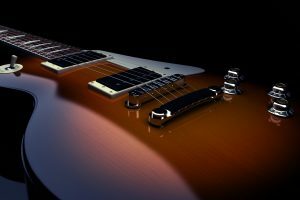 You can start out by trying to emulate the masters of guitar like Santana, Hendrix, and Clapton, but then you can develop your own sound as you become better with your guitar. For more, check out our list of the best overdrive pedals for blues! 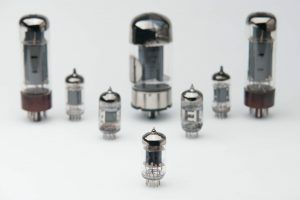 My name is Jarsh, and I've been an audiophile for many many years now, and am excited to share my love of tube amplifiers with you! Thanks for checking out my site! 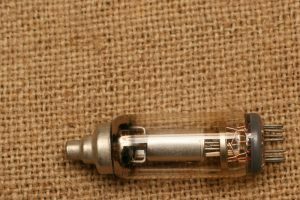 New To Tube Amps? Start Here! 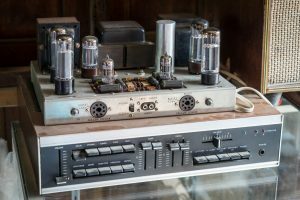 Yaqin MS-650B 845*2 Class A Single Ended Integrated Tube Amplifier Review! 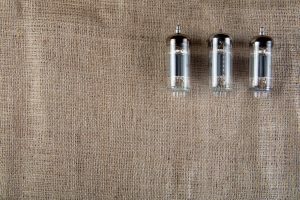 FX Audio TUBE-01 6J1 Tube Buffer HIFI Preamplifier Reviewed! Some recommended products may use affiliate links. 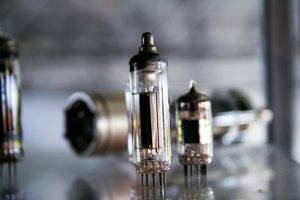 Toptubeamplifier.com is a participant in the Amazon Services LLC Associates Program, an affiliate advertising program designed to provide a means for sites to earn advertising fees by advertising and linking to Amazon.com.